It is just phenomenal how our ecosystem is blessed with endless fruits which among other several essential uses are sources of medicine and good food for us all. One among this long list of beneficial fruits is the tangerine (Citrus tangerina). A little bit of intro on what this fruit is all about ----- Tangerine is a citrus fruit that has an orange-colored appearance once mature and ripen but greenish color when still immature. This fruit is closely related to the mandarin orange which is botanically known as Citrus reticulata. Tangerines are less rounded and smaller in appearance than the usual oranges and are a lot more sweeter than oranges. Tangerine can be easily distinguishable from other oranges due to its mild, sweet flavour and juiciness as well as with its tiny knob formation at the tail end of its stem. Ripe tangerine is firm and slightly soft in texture which makes it easily peelable with bare hands unlike other citrus fruits. Tangerine peel is very thin and the inner flesh can be easily split into segments. Most tangerine hybrids are seedless however those ones with seeds usually contain very little seeds. 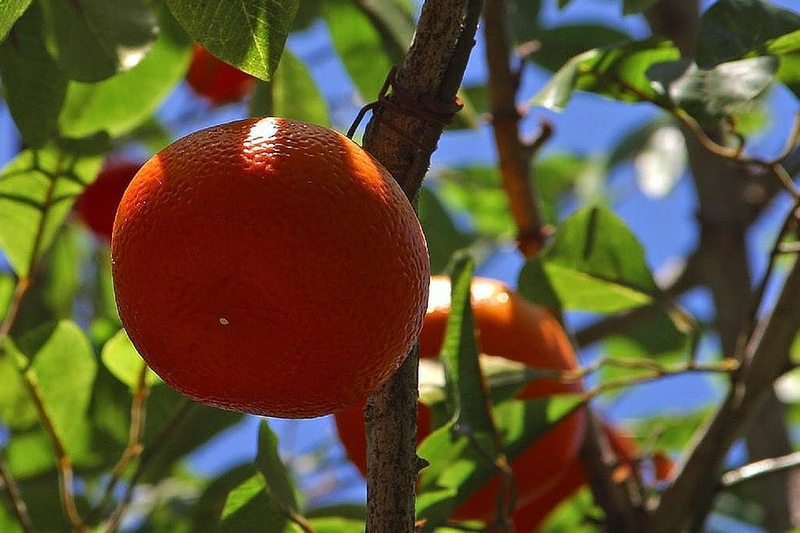 Tangerine has several hybrids ranging from the Minneola tangelo, the clementine, the tangor, royal mandarin or temple orange and the dancy tangerine. Tangerine is an excellent source of essential minerals, nutrients and other compounds that are essential for promoting the healthy functioning of our body systems. They include vitamin B1, vitamin C, calcium, magnesium, beta-carotene, vitamin B3, potassium, riboflavin (vitamin B2), dietary fiber, protein, vitamin A, thiamine, niacin, pantothenic acid, vitamin B6, choline, vitamin E, iron, manganese, phosphorus, zinc, zeaxanthin and lutein. 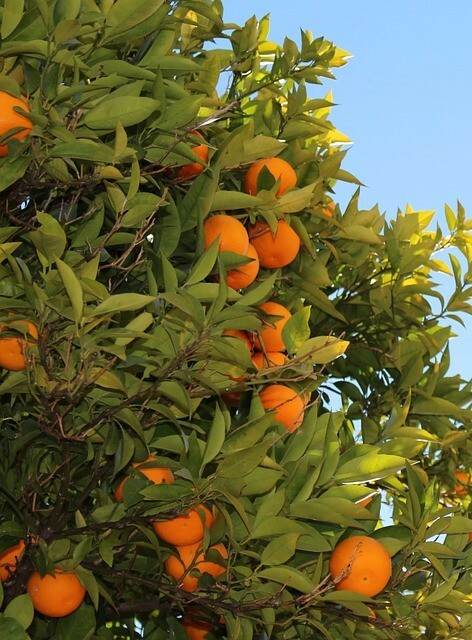 Tangerine oil equally contains limonene, geraniol, neryl acetate, thymol, geranyl acetate, alpha-pinene, myrcene, carvone, gamma-terpinene, citronellal, linalool and neral. To check good tangerines, look out for those ones that have deeper orange colour with shiny glossy appearance. Ensure that they are slightly soft and equally firm when touched and that there are no cuts, spots or patches on the skins. In a nutshell, always look out for fresh, soft, shiny and deep orange-colored tangerines for a sweeter sensation. Tangerine is an excellent source of vitamin A and vitamin E thus very essential for maintaining healthy, glowing looking and youthful skins. It is an important fruit for individuals suffering from all sorts of skin diseases such as dry skin, acne, rashes and pimple. Tangerine also helps to control aging skin conditions such as wrinkles, rough skin, fine lines and dull looking skin. The antioxidant in tangerine helps to reduce the aging process while the vitamin C helps to stimulate the collagen production in the skin which is essential for making the skin glow, fresh and blemish free. To make tangerine skin mask, peel, deseed and blend tangerine with honey and yogurt. Apply the mixture on the face, neck or the skin parts you want to treat then allow to stay for at least 30 minutes to 1 hour before washing off with water. This treatment can be carried out twice or thrice a week depending on the degree of the skin condition to be treated. Tangerines are edible thus are popularly enjoyed as a household fruit. It can be easily peeled with hands before eating. Tangerine can be used for preparing assorted dishes such as desserts, salads, main dishes, spice, side dishes, snacks, pastries, dressings, zest, or even drinks and juice. It can also be used for preparing jams, marmalade sauces and dips. Tangerine is an excellent source of vitamin A which is essential for moisturizing the hair and the scalp. It helps the hair to grow and prevents the weakening of the hair. Tangerine also delays hair graying as well as minimizes hair loss. For a shiny, glowing and healthy looking hair, mix tangerine juice with hair oil and apply regularly on the hair for quicker and effective results. Tangerine is a rich source of antioxidants thus highly essential for preventing inflammation in the body. Tangerine helps to counter the formation of free radicals that can lead to the formation of unwanted oxidation reactions that are harmful to the body. Tangerine contains dietary fibers such as hemicellulose and pectin that inhibit the absorption of cholesterol in the human gut thereby minimizing obesity and overweight risk. Tangerine is an excellent source of dietary fiber which is very essential for easy digestion of food and easy bowel movement. Tangerine provides our bodies with essential minerals and nutrients such as vitamin A, vitamin C etc that facilitate faster healing of wounds and minor cuts. Conclusively, tangerine is an important fruit that is super essential for the healthy functioning of our bodies. Try as much as possible to include this fruit in your diet as the benefits are just amazing and overwhelming. If you enjoy this post, feel free to leave your opinions in the comment section. Every opinion counts!!! 1. Agu K. C., Igweoha, C. A. and Umeh, C. N. (2013), Department of applied microbiology and brewing, Nnamdi Azikiwe University, PMB 5025, Awka, Nigeria. International Journal of Agric. Biosci, 2(1): pp.22-24. 2. Ayoola G. A., Johnson O. O., Adelowotan T., Aibinu I. E., Adenipekun E., Adepoju-Bello A. A., Coker H. A. B. and Odugbemi T. O. (2008), Evaluation of the chemical constituents and antimicrobial activity of the volatile oil of Citrus reticulata (Tangerine fruit peel) from South West Nigeria. African Journal of Biotechnology; 7: 2227-2230.
and health effects in humans. American Journal of Clinical Nutrition, 69 (6): 1086- 1107. 4. Okwu, D.E. and Emenike, I.N. (2007), Nutritive value and mineral content of different varieties of citrus fruits, Journal of Food Technology, 5(2) pp.105-107. 5. Khanali, M., M. Ghasemi Varnamkhasti, A. Tabatabaeefar and H. Mobli (2007), Mass and volume modeling of tangerine (Citrus reticulate) fruit with some physical attributes. International Agrophysics,740. 21: pp.329-333.